Cassava is the plant which possesses the adequate amount of calories. In comparison to the flesh, cassava leaves are more beneficial. 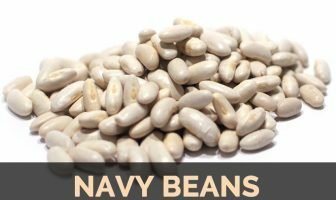 Along with the good taste, it also possesses various health benefits. Cassava leaves contains vitamins, proteins, minerals and essential amino acids. The protein found in cassava leave helps to form body cells and constituent the enzyme system. The availability of amino acid helps to modify the energy into carbohydrates. Amino acids helps to recover the skin wounds, helps us with a good memory, bone health and body’s metabolic system. The chlorophyll found in the leaves provide anticancer and antioxidant properties. 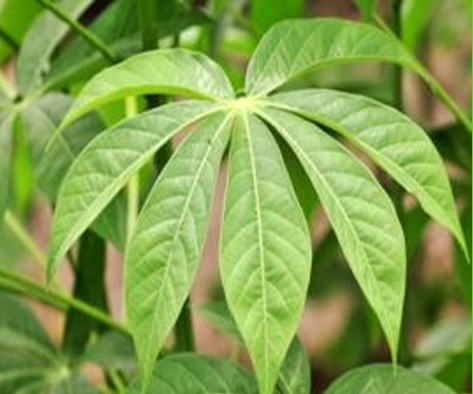 Due to the presence of high iron content in cassava leaves helps the pregnant women to avoid anemia. The cassava leaves has high amount of folate and Vitamin C. Due to the bland taste of cassava leaves, it should be cooked with vegetables or meat by chopping. The leaves of cassava are rich in lysine protein which helps to fight against the kwashiorkor which is caused due to the protein deficiency. The leaves and tuber should be cooked and washed properly before eating because the presence of cyanogenic glucosides leads to the cyanide poisoning and eyesight loss. The three pieces of cassava leaves should be finely ground. This helps to relieve the fever and headaches. In other method, the root and leaves should be boiled by adding 80 grams of stem, 400 grams of cassava leaves and a liter of water. It should be heated till the water is reduced to half and then let it cool down. Boil 7 cassava leaves in 4 cups of water till the 2 cups remains. This liquid should drink two times a day to cure the diarrhea. By another method, a liter of water should be boiled and took off the heat. The freshly picked 10 cassava leaves should be made a paste in a mortar and pestle. It should be dropped in the hot water and cover it. It should be steep overnight. This liquid should drink by straining the leaves in the morning. The rest liquid should be store in the fridge. It can be kept for three days. The cassava leaves should be boiled with garlic and salt and this should be consumed as salad with rice. The daily consumption of cassava leaves concoction also helps to treat the blurred eyesight. The boiled cassava leaves with garlic and salt should be consumed with tomato sauce and rice. The parts of cassava such as stems and tubers are also considered as traditional medicine. The cassava leaves helps to restore the appetite. The concotion of cassava leaves with the ginger should drink every morning after waking up. Boil 100 grams of cassava stem, 15 grams of ginger, and a stem lemongrass with 1000 cc of water till the 400cc remains. It should be drink as 200cc by filtering two times a day in a morning and afternoon. Boil cassava bark in 3 cups of water till 1 cup remains. It should be filtered and drink at bedtime. It helps to destroy the worms in the stomach and maintains the healthy body. The experiment performed on the young goats’ reports that the consumption of cassava leaves helps to reduce the nematodic infestation. To eliminate this problem, either the cassava supplement or paste of cassava leaves could be consumed. The juice of cassava should be squeeze or shredded and apply the starch on the wound as an ointment. The method of plastic surgery or Botox injection is harmful to the health. So the cassava leaves can be the substitution for chemical treatment without having the sampling effect to stay young. The study which has been conducted by an experts shows that the cassava leaves helps to treat stroke because the cassava leaves possess isollavon which is an effective substance. The presence of high vitamin C helps to enhance endurance. The consumption of cassava leaves helps to maintain the personal hygiene by eliminating various diseases. Blend 25 grams of kencur, 100 grams of cassava and 5 points of angco seed with enough water which helps to boost stamina. Cassava leaves possess high amount of magnesium which helps to lower the blood pressure level and eliminates the risk of rheumatic diseases. It could be prepared by boiling 150 grams of cassava leaves, 15 grams of ginger root, some lemongrass and salt. It should be boiled till it is about 400 ccs. The daily consuming of this liquid prevents from rheumatic diseases. The presence of various nutrients helps to heal the injuries fast. In the little amount of Aloe Vera gel, add some crushed cassava leaves and make a paste. This paste should be applied on the wound. The cassava leaves contains huge amount of Vitamin C and folate which helps to boost the immune system. Vitamin C helps to destroy the bacteria and virus. The cassava leaves also helps to maintain bone health. The antioxidant helps to eradicate the free radicals in the body. Folate helps to enhance the cell production by assisting in the genetic material for life and avoid DNA mutations. The crushed fresh cassava stems should be placed on the sick body. The scratched grated cassava should be affixed and then bandaged.